Do you have what it takes to be a hero like Marvel Studios' Captain Marvel? Test your mettle in the What Makes A Hero trivia and stand a chance to win an OPPO F11 Pro Smartphone and couple movie tickets Catch Marvel Studios' Captain Marvel in theaters March 8, 2019. Best The Clock And Win Exciting Prizes. 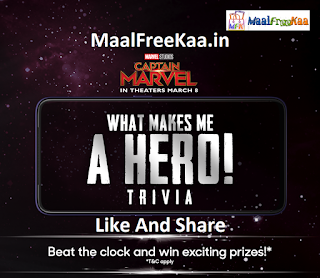 Participate in the quiz and answer all questions based on Marvel Studios Captain Marvel and OPPO F11 Pro asked in the lowest time Participate now and win oppo f11 pro. 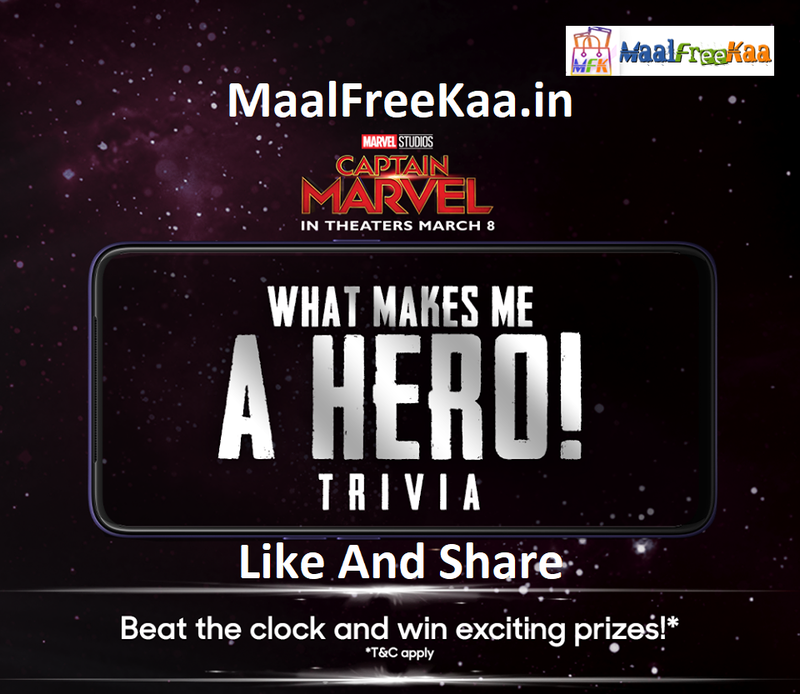 4. Who's Beat The Clock And Win Free OPPO F11 Pro Smartphone and Captain Marvel Movie Tickets Free. commencing from 28th February, 2019 to 8 th March, 2019 a user can participate every four hours by logging in to the microsite of captain marvel Score will be given on the basis of correct answers and minimum time taken by the participants to submit answers; Leaderboard on the website will reflect the best score of the participant Answer the questions based on Marvel Studios’ Captain Marvel and OPPO F11 Pro and participants with highest number of correct answers and lowest time taken will get a chance to win free. tickets for Marvel Studio’s Captain Marvel. The winner will be contacted two (2) times over a period of 24 hours to inform him/her of the win through calling and/or email. In the event that the winner is not contacted in the tries the Organizer shall be at a liberty unconditionally to either forfeit the prize or pass on the prize to the immediate next unsuccessful participant during the draw process This contest is in no way sponsored, endorsed, administered or associated with Disney or Marvel.